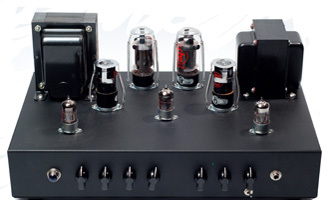 Hayward Boutique Amps - Why Tube Amplifiers? When it comes down to deciding whether to go with tubes versus solid state, there's really no comparsion. Tube Amplifiers offer that warmth and compressed tone that can't be mimicked in a solid state amplifier. Each tube amplifier will sound unique according to the tube combinations used. There are endless possibilities for tube combinations and the sounds that can be produced by "Tweaking" the tube combinations in the same amplifier. Tubes give tone some depth with fat and thick sounds that get better when the volume is turned up. Tube amplifiers can give you that ultimate distortion, presence and crunch. Whether you prefer a screaming lead or an edgy rhythm, a tube, by its very nature can produce sound to your specifics.